I tried to shoot in for the first time today. After firing the first round the second round loaded, the bolt rotated shut and the bolt carrier group failed to go fully forward into battery. I tried pulling the charging with a great deal of force to extract and wasn't able to. I fiddled with it for a while and hit the forward assist about 10 times until it eventually went into full battery. I removed the lower and inspected the upper. I was able to get it to pull slightly out of battery and then push the forward assist to move it forward. After reffing on the charging handle for a while the BCG eventually flew out of the upper and onto the ground. I inspected the bolt carrier and relubbed it with CLP. It was already properly lubbed intially but I figured it wouldn't hurt to add more lube. I shot it a few more times and after about 20 rounds it seemed to function more consistently. It however fails to go into battery about every 5th round. Extraction of a round is also more difficult then what I've seen on my other rifles. Inspecting the fired casings shows the extractor is chewing up the rim quite a bit. So what do you guys think? I'm leaning towards the receiver being out of true but that's just an initial thought. Pull the bolt off the carrier, and using the carrier alone with gas key,confirm that the gas tube is correctly aligned with the key. Also, since you have the carrier with bolt angle the upper muzzle down ward, start the carrier into the upper, and let it go. If the key sides are too wide for the upper receiver slot, then the carrier is not going to drop free until is mats with the front of the barrel extension. Next, pull the bolt extractor, and if you D fender or O ring around the extractor spring, remove it for safe keeping. From there, load on a single round into a mag, insert the mag into the well, charge the mag while leaving the empty mag still in the mag well, and fire the rifle. If the action is correctly stroking, then the bolt will lock back on the bolt catch. Lastly, would help to know what ammo, since if reloads or sub par ammo, could be it alone. Reloads with the die adjusted incorrectly. Or need to check for adequate head space. Closes on go gauge but not no go gauge. Checked with extractor and ejector removed. I'll try this out this evening. I removed the bolt and it does not appear that the gas tube is interfering with the gas key. I cannot visually see it but I can close the carrier all the way into battery with no resistance. I installed the bolt and dropped the bcg into the receiver and it closes. I can move the carrier back with my fingers with little effort and the bolt with rotate freely in the barrel extension. When I was at the range I had the bolt hold open 4 times on an empty mag. No failures to hold open on an empty magazine. The brass that was fired was found 10-15 feet at 4-5 o'clock. So... Looks like a problem with the ammo then. I'm a bit surprised as it was two different types of ammunition it had problems with. One was much worse than the other however. Maybe I should do a good cleaning with a chamber brush. I'm a bit surprised however since it's a brand new barrel. Do some ARs have a break in period? You might have an undersized chamber. Pictures of the fired cases would help. It is POSSIBLE the chamber reaming was done with a rougher (undersized) reamer and somehow missed the finishing reamer process. Yes, it is possible for correct headspacing with a roughing reamer. This would explain the tight chambering and hard extraction. The fix is a trip back to the manufacturer. You could try making a chamber cast with Cerrosafe, a low temperature melting alloy which shrinks upon solidification for ease of removal but slowly recovers dimension over time. Yes, and even more on your match barrel. So on that note, check your rate of fire so you don ever heat the barrel, and clean the barrel and chamber about every 100 rounds until you hit the 500 mark. Here, you are keeping the rifling with as little copper build up as possible to allow the rifling to unify in through live fire for this first 500 round mark. I unfortunately didn't keep the brass that I fired. I'll shoot it some this week and if it is still having problems I'll post some pictures of the brass. Went ahead and cleaned the chamber. I'll try it again this week. 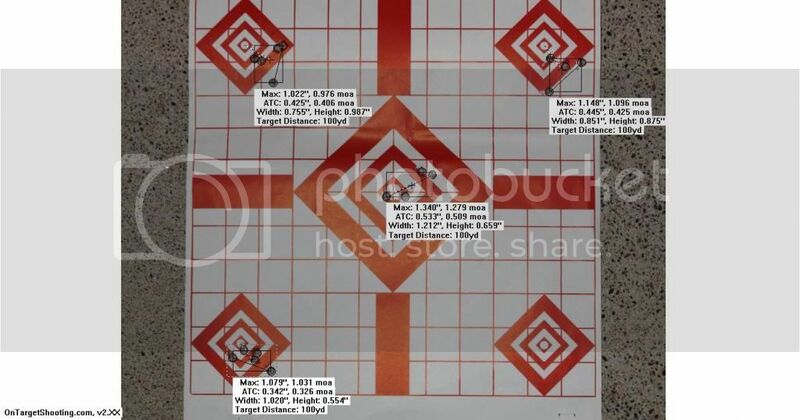 This is a 3 gun build so it looks like I'll be running my BCM 16" until I put enough rounds through this one. Do a visual of the chamber, and if it has any reaming marks, it needs to go back. If the chamber is smooth, then stay the course with a steady break in/rifling unifying, keeping the chamber and rifling clean via Sweets every 100 rounds until you hit the 500 mark. By that time, the rifling should be unified, and barrel stress relieved as well (going to shoot as good as its going to get, with a slow decline until around the 8K drop off mark (not longer going to group match type groups) on a button rifled nonplated bore barrel). I had this exact thing happen to me. For me the extractor was too tight and could not get around the rim of every 8th round, chewing up the rim quite a bit. What ended up fixing it for me, as another poster mentioned earlier, was to remove the o-ring around the extractor spring. It is a very simple fix. If your bolt does not have a an o or d ring then you may just need a new extractor or extractor spring. Try the extractor before you blame the barrel. Also, a close up picture of your bolt face could help determine if it is the extractor. I must have overlooked that suggestion. Another reason to go to the range. Perfect! The bolt did have an o ring. I removed it and might go to the range later this evening. Great! I hope it fixes it for you. I know when my rifle was doing this I was so frustrated that I could hardly stand it. Good luck! Let us know if it fixed it! Well that did the trick. Ran 50 rounds of the Hornady steel match without a problem. Totally makes sense why this would have caused the problem. Some pictures of the gun and some groups. Not the best shooting. I blame it on the weather Thank you everyone for your help. Holy cow. Glad I stumbled onto this thread. I was surprised by the fix. Another good to know tidbit to check if similar issues appear in my AO. Nice rifle! 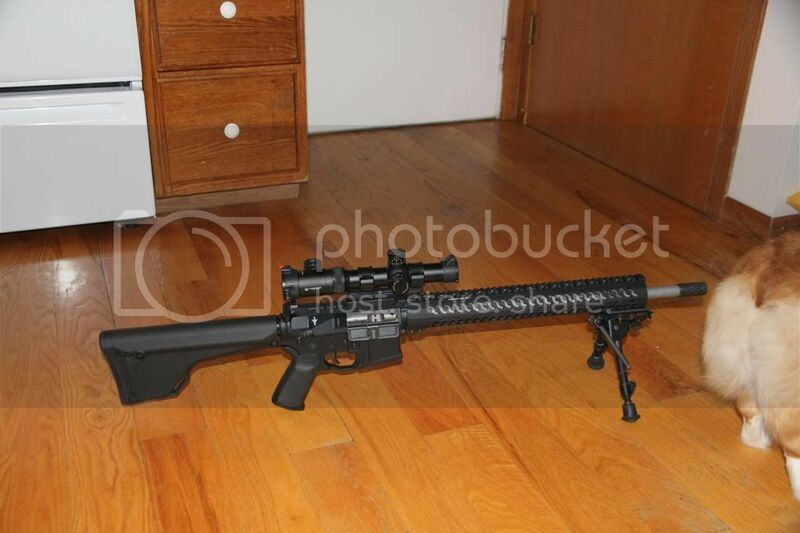 Love the grey barrel on the black rifle. I did the same on mine.